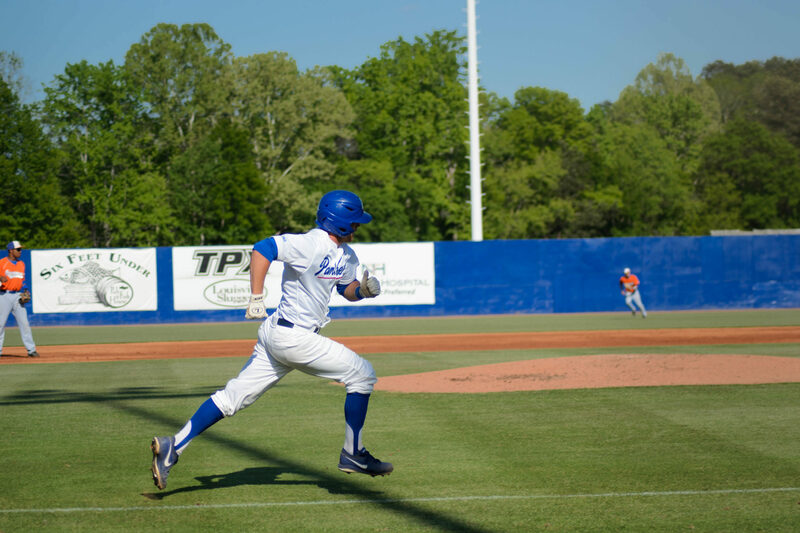 The Georgia State baseball is nearing the end of one of their best seasons in University history. Sunday the Panthers will host their final home game of the season as they try and complete the sweep against the Hofstra University Pride. Sunday is Senior Day for the Panthers, who have four seniors in Landon Anderson, Mark Hogan, Scott Sarratt, and Drew Shields. The Panthers this season have been known across NCAA for their prolific offense that has resulted in their current 34-18 overall record. The team will come up just short from the most winning season in Georgia State baseball history. The program’s best season was in 2009 when the Panthers finished with a 39-22 record and were the CAA Conference Champions. With a total of four games left, the Panthers will fall just short of the record, needing a total of five wins to tie. The Panthers offense up at bat. While a postseason bid is nearly impossible because of a Colonial Athletic Association ban from participating in the conference championship because of the University transferring to the Sun Belt Conference this July, the team still is playing with a ferocity and is finishing the season with a dominant stride. The team has been noticed on a national scale as the Panthers are currently ranked third in the league in team’s batting average (.322) and Chad Prain is currently third in the league in hits with 81. The Panthers will close out their season with a road series against William & Mary Thursday through Saturday, May 16th – 18th.